Doha, January 26, 2017: Al Khalij Commercial Bank (al khaliji) P.Q.S.C., Qatar’s next generation bank, in recognition of its outstanding achievements and solid performance has been named Qatar’s ‘Fastest Growing Private Bank’ for 2016, by the London-based International Finance Magazine (IFM). The prestigious IFM award adds yet another coveted title to the slew of recognitions and trophies that al khaliji acquired throughout the year, including recognition for ‘Best Premium Bank Service’, ‘Best Private Bank Service’ and the ‘Best Private Bank in Qatar’ award, by various regional and international publications. 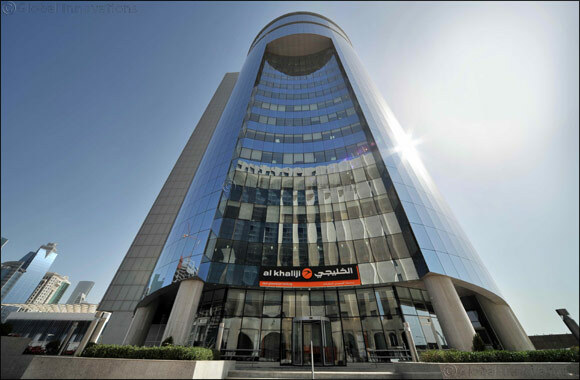 The distinguished titles claimed by al khaliji are a culmination of the Bank’s relentless efforts to continuously develop its offerings and services, with the aim of providing its Premium and Private Banking clients with an exceptional customer experience in the country and across the region. al khaliji’s latest achievement comes on the heels of the Bank’s 10th anniversary celebration, which highlighted the many milestones al khaliji has been able to cross over a decade of excellence, profitability and growth, as well as the market-leading status it has won through a series of initiatives that have made a tangible difference in the local and regional banking sector.